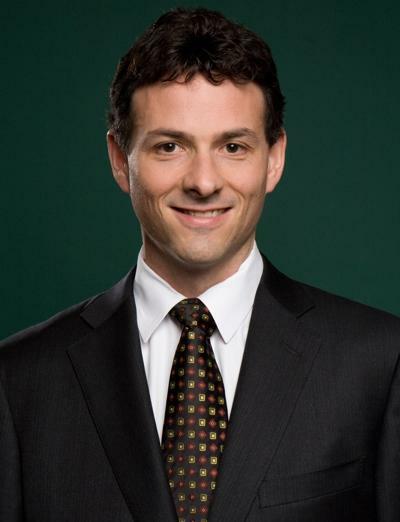 David Einhorn, the high-profile hedge fund manager behind Greenlight Capital, has sued Apple over what he believes is a "cash problem" for the company. Greenlight Capital issued a press release on Thursday calling on investors to vote against "Proposal 2" in Apple's proxy when the shareholder meeting takes place on Feb. 27. If it passes, the recommended proposal would eliminate preferred stock from Apple's charter. Einhorn instead believes that Apple could better allocate its capital by distributing preferred stock and tapping into new value for shareholders. We believe Apple must examine all of its options to unlock the growing value of its balance sheet for all shareholders "We believe Apple must examine all of its options to unlock the growing value of its balance sheet for all shareholders," Einhorn said. "Over the past several months, we have had an ongoing dialogue with Apple regarding one option to do so, namely the creation of a new security, a perpetual preferred stock that would be distributed at no cost to Apple's existing shareholders, and would provide an attractive, sustainable dividend while preserving Apple's financial resources to pursue its business strategy." As part of his push, Einhorn's Greenlight Capital has sued Apple, and argued that shareholders deserve a larger share of Apple's $137 billion and growing cash hoard, according to Reuters. Einhorn is known for being a short seller of stocks, but he is long on Apple shares. The hedge fund manager characterized Apple as having a "cash problem." He believes the issue could be addressed by giving away perpetual preferred stock with a 4 percent yield. Apple's stock has seen a steady decline since the launch of the iPhone 5 late last year. Investors have expressed concern over Apple's slowing growth, along with increased competition from rivals such as Samsung. For years some investors have called on Apple to do more with its cash and reserves as the money has continued to grow. Last March, Apple announced it would spend $45 billion over three years in a dividend payout and share repurchase program. Even with the dividend and share buyback, Apple still continues to collect cash faster than it can spend it. Einhorn and Greenlight don't think Apple is acting fast enough. The company said in a filing with the U.S. Securities and Exchange Commission that it is "dissatisfied with Apple's capital allocation strategy." Analyst Katy Huberty of Morgan Stanley asked Apple during its last quarterly earnings report why the company doesn't step up and buy back even more stock than it originally planned. Chief Financial Officer Peter Oppenheimer said Apple "continuously" assesses opportunities to invest in the business and return cash. "Combined with our dividend, we returned about $4.5 billion of cash this quarter, and we started the buyback program and expect to return about $45 billion over three years to our shareholders," Oppenheimer said. "We do consider increasing these programs and we'll do what we think is in the best interest of our shareholders." But Einhorn and Greenlight don't think Apple is acting fast enough. The company said in a filing with the U.S. Securities and Exchange Commission that it is "dissatisfied with Apple's capital allocation strategy." Einhorn also spoke with CNBC and said that he believes Apple shares are "utterly misvalued" at current levels. He hopes that the open letter he issued to investors on Thursday will win a rejection of Proposal 2 at the company's Feb. 27 annual shareholder meeting. "We understand that many of our fellow shareholders share our frustration with Apple's allocation policies," Einhorn wrote. "Apple has $145 per share of cash on its balance sheet. As a shareholder, this is your money."